SEO vs SEM – What Are the Advantages? Search engine optimization and Search engine marketing are great buzzwords in the business arena today with the onslaught of modern technologies. However, these terms are often misused through casual interchanges and without a proper understanding; thus a lot of confusion is caused among consumers and even business owners. Search engine optimization (SEO) is part of Search engine marketing (SEM). SEO is primarily applied to a website where it is optimized to spike up the page rankings through natural and organic searches by top search engine algorithms. SEO is very cost effective in SEM with its dynamic list of features to enhance an online business with a website. SEM functions to promote the business using SEO when the web business page is ranked according to the stringent requirements of top search engines based on the optimized website. Sponsored listings like PPC can also promote the web business with higher sales and wider market presence. When both options are implemented appropriately, a lot of benefits are derived to enhance the business. SEM is usually a professional service rendered with payment, depending on the types of business objectives and goals to be met by professional Internet marketers or SEM experts. On the other hand, SEO refers to a longer term process that impacts the web business in an organic approach. This includes a better ranking by top search engines. An SEO approach is more structured with the proper processes set in place and the appropriately identified activities implemented to secure the desired types of results over time. SEM is likened to a neon sign where the bright display is constantly on with constant payment. Every modern business today needs to consider SEO or SEM approach to build up their market visibility; whether on a short term or long term basis. SEO is a more cost-effective approach with longer term rewards. It is noted in the modern business world that a satisfactory page ranking is easier to upkeep than to strive for the desired high position. SEO tools allow the web business to stay steady and on course even in the midst of competition, whereas SEM approaches are quite volatile depending on market conditions such as inflation and rising business competition. It may be difficult to change the course of development once the preferred SEO tools and solutions are identified and implemented as time is required to reap the targeted results. It is easier to switch marketing tactics or strategies with SEM as its tools and approaches are rather short term based with quick and low results. Both business approaches differ with pros and cons depending on the business requirements, expectations, goals and objectives. 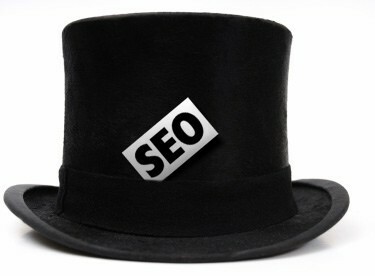 SEM and SEO may target different scopes of audiences to enjoy different scopes of benefits. SEO approaches to modern businesses are popular as these are seen to be cost effective. There is no need to pay for web traffic directed to the targeted website which enjoys 100% potential sales if the web visitors like the offerings displayed on the website. The profit gained is accounted for in the business itself with no commission to be paid to marketers or middlemen. Some of the long term benefits of SEO include low maintenance fees, cheap implementation, tested and tried with satisfactory ROIs. 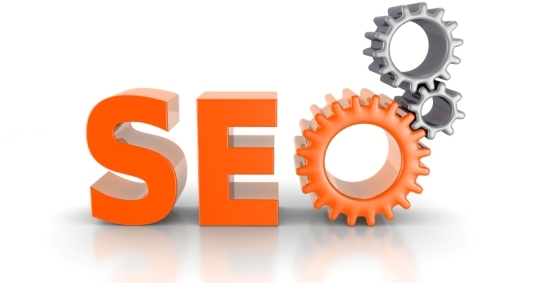 Possible expenses with SEO would be the hiring of SEO experts for professional SEO services. The organic listings secured with SEO tools are trusted and indexed with an unbiased structure to benefit the business implementing them. SEO techniques require longer time to generate the desired results which are long lasting for the business to be better established in the market. SEO is a very popular Internet marketing strategy which maneuvers diverse tools in promoting the targeted websites. Its goal is to ensure a more relevant website to the preferred search engines in securing higher page rankings. SEO is considered an organic or natural online marketing approach that enhances the website’s presence in the market. Its features cater to the preferred search items of web consumers and search engines to identify the target audience. This cost effective online marketing technique is able to edit a website’s tag, HMTL, associated coding and outbound link additions. SEM techniques can be combined to bring on higher rewards faster. Business owners or Internet marketers can combine Pay-per-Click marketing with SEO techniques to generate better end results in a shorter period of time. Businesses that require a quick turnaround on ROI would employ SEM techniques if a proper implementation is executed with a proper understanding of the concept and the process. SEM approaches allow a direct access to targeted audiences with appropriate marketing campaigns designed to meet targeted customers’ needs and expectations. More sales can be achieved through SEM with a higher traffic directed to the targeted site for a higher sales conversion rate. SEM techniques function to promote websites by enhancing their market visibility in SERPs via paid placement programs, contextual advertising or paid inclusion programs. Elite services such as Google AdWords can accommodate SEM easily to generate the desired results quickly in a very user friendly format. The increasingly stiff market competition compels business owners and Internet marketers to combine SEO and SEM approaches and techniques to gain the best of both options. A modern business today is structured to be dynamic and versatile to be flexible in reaching a diverse range of audience; hence, it is not surprising to adopt both SEO and SEM techniques to cover the wider scope of the targeted audience for the business to survive in an intense market environment. If a business does not have the expertise in SEO or SEM, professional services can be hired from established and reliable SEO or SEM companies in the market. There are many SEM and SEO professional companies in the market that are well equipped with the knowledge, skills, tools, creativity and team to assist any type of business in any industry to secure better SERPs and market presence. Every business needs to consider the great advantages of SEM or SEO before indulging in either technique or a combined approach.